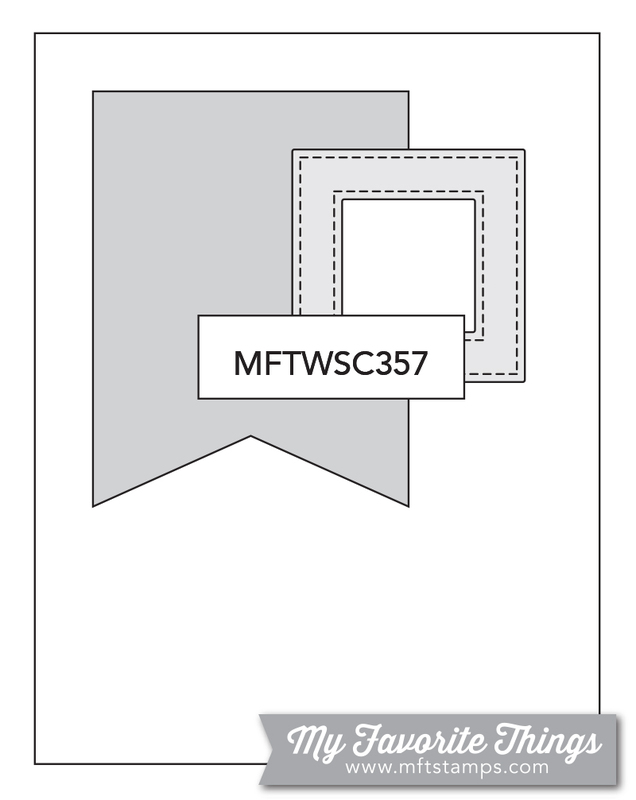 Below you'll find Sketch 357. Create cards, scrapbook layouts, home decor, treat containers, mixed media, etc. using this week's sketch and be sure to link your project below for a chance at the weekly My Favorite Things Gift Voucher. Torico decided to shake things up and create a holiday shaker card based on this week's sketch. She created a subtle inked background for some interest and layered all of her elements on top for a fun and festive card design. 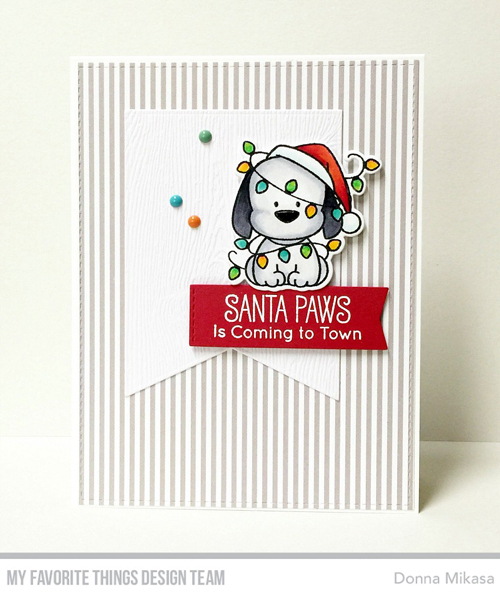 Donna used the same festive puppy on her card and colored him in with shades of black and gray. She kept her elements in line with the sketch design and created a striped patterned paper background for added detail. Congratulations, Melanie MacKenzie! You are the randomly selected winner of last week’s sketch challenge. Now, it's your turn. 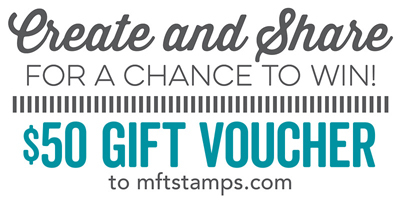 You have until Tuesday, November 7th, at noon EDT to add your link and be eligible for the prize of $50 in MFT Cash to be spent in the MFT boutique. Winners are chosen at random, so everyone has a chance!